12.90€ Bottle 75 cl Tax incl. 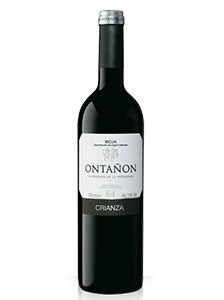 ELABORATION: Organic Rioja wine made from grapes of the Tempranillo and Garnacha Tinta varieties, located on small plots of land in the village of Badarán planted in 1940 and 2007. Harvested by hand at optimum ripeness at the end of September and beginning of October 2015. Vinification is carried out in small winemaking tanks, carrying out classic alcoholic fermentation at controlled temperatures of 22-24ºC, with daily gentle and manual overpumping during the first stages of fermentation. Achieving to respect the fresh and fruity aromas of the Grenache and without maceration to avoid unnecessary extractions, respecting the grape as in a traditional production. After fermentation, we bleed the tanks to extract, by the simple force of gravity, the highest quality wine, helping it with a traditional pressing of the grapes without the need to submit it to a pressing.